Company: Adducci, Dorf, Lehner, Mitchell & Blankenship, P.C. 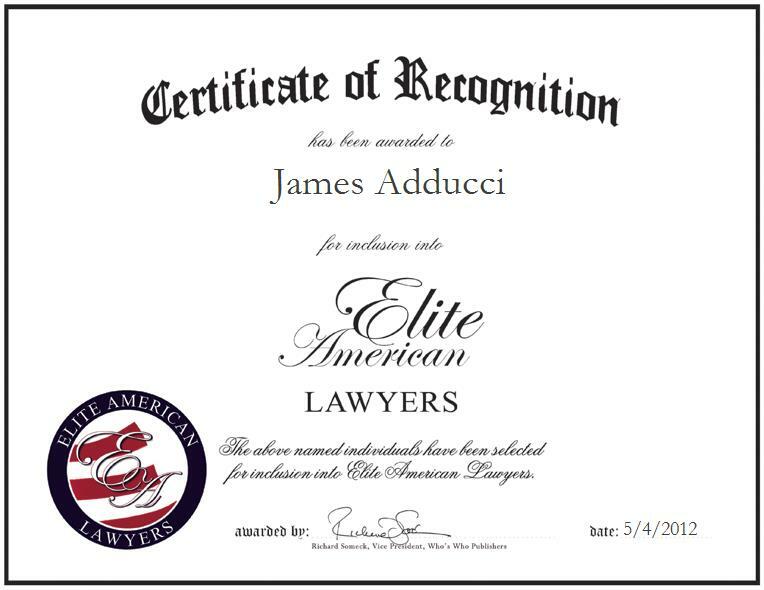 James Adducci, Partner for Adducci, Dorf, Lehner, Mitchell & Blankenship, P.C., has been recognized by Elite American Lawyers for his dedication in legal services. Mr. Adducci has been practicing in the area of commercial litigation in Chicago for over 30 years.